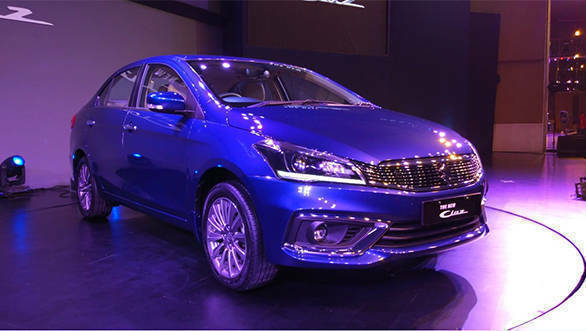 The facelifted Maruti Suzuki Ciaz has just been launched in the country. 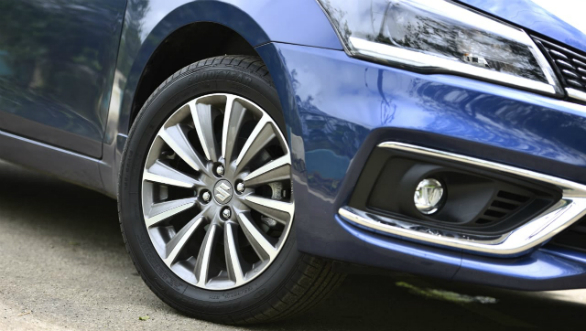 The Ciaz has always been a good seller in the C-segment space, behind the Honda City and the changes in the new version will help it stay relevant among buyers. The Honda City has undergone a facelift while the Verna has seen a generation change since the Ciaz was first launched, Toyota too has launched its own competitor in this space with the Yaris, so the timing seems ripe for an updated version of the car. The updated sedan now comes with a sleeker front-end design. The grille is thinner and more subtle. Unlike the earlier car, there is restrained use of chrome. The headlamps are reprofiled as well with new LED DRLs. The front bumper is also new as well, with C-shaped chrome inserts around the fog lamps. The rear also gets LED elements in the tail-lamps as well as a slightly reworked bumper. The side profile remains largely unchanged. The cabin sees a facelift with a new wooden trim and redesigned upholstery. The multi-info display in the instrumentation is more detailed too and is 4.2-inch in size. The big news here is the new K15B 1.5-litre recently seen on the Indonesian-spec new generation Suzuki Ertiga. This new K15B motor puts out 104PS and 138Nm, increases of 13PS and 8Nm over the current car. But this doesn't seem to be at the cost of fuel economy. The new Ciaz petrol will return ARAI-approved fuel economy figures of 21.56kpl for the manual version and 20.28kpl for the automatic. These are improvements from the 20.73kpl for the manual and 19.12kpl for the automatic for the outgoing car. 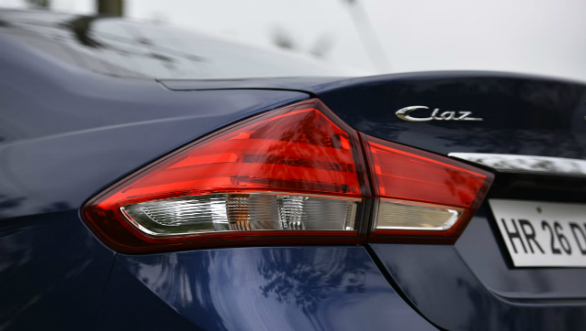 These figures mean that the Ciaz will continue to be one of the more fuel-efficient cars in its class. 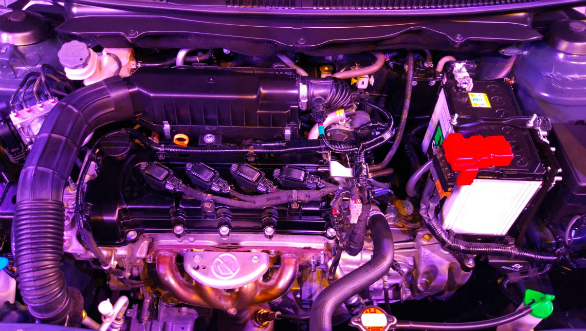 Another major addition is a new iteration of Maruti's SHVS hybrid system. The 1.3-litre diesel motor will be carried over unchanged and continue to be the Fiat-sourced variable-geometry turbo unit. Outputs stand at 90PS and 200Nm. To further its appeal, the Ciaz also gets a host of new features to keep it relevant. These include, automatic LED projector headlamps and DRLs with auto levelling and LED fog lights aside from the already mentioned LED tail lights. 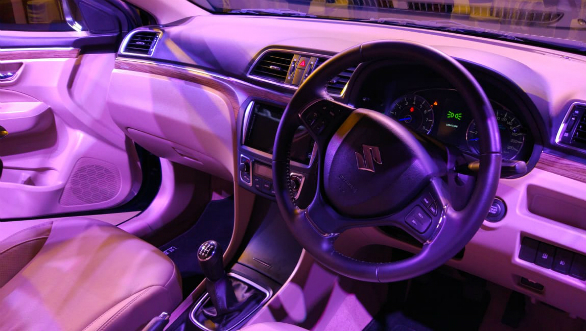 The Ciaz now also gets cruise control, a 4.2-inch colour MID and adjustable rear headrests. There's improved safety as well with a seatbelt warning function for the passenger alongside the already present alert for the driver. The car will also get a speed warning function that can be set up through the instrument cluster. This is in addition to the other new safety equipment that is being added like ESP (electronic stability program), traction control and hill start assist. Maruti Suzuki has handily revised the pricing for the Ciaz with this facelift. The diesel versions have seen their prices being dropped while the petrol versions have seen a price increase. This has invariably been done to better reflect the present shift in buyer preference to petrol cars. The four variants - Sigma, Delta, Zeta and Alpha remain unchanged.